...Lumpur-Seremban Highway and Sungai Besi Highway. Additionally, the Serdang KTM Komuter station is just mere minutes away from the residential. 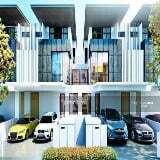 For more details and viewing please call: Michael Chai at 017-948 2033 or Email to ----------@gmail.com REN No. 07509. Owner welcome to list.